Prachi's new job leads her to Abhi's house on Rhea's birthday party. Will she find out the truth there? 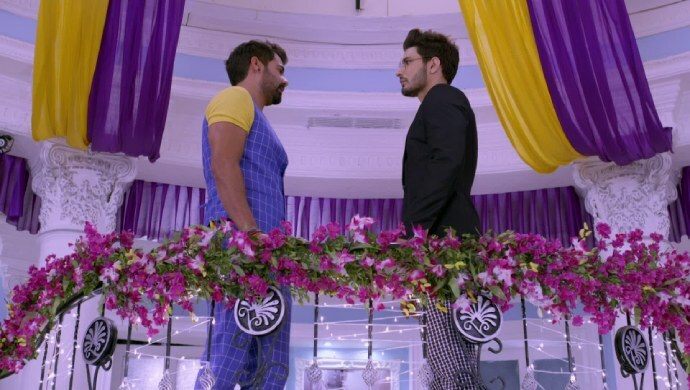 In last night’s episode of Kumkum Bhagya, Prachi and Shahana defeat Rhea’s attempt to rag them. Instead, they end up insulting Rhea. Rhea swears to take revenge on them. Later Prachi’s aunt asks for money for rent and food if they want to continue staying at her house. Embarrassed to ask for money from home, Prachi and Shahana decide to take up jobs in Delhi. In tonight’s episode, Rhea wakes up to a load of gifts and presents from her family. Abhi too comes in with his gift, precious earrings which Rhea had been thinking of buying for a long time. Thanking everyone she decides to run to college. She plans to insult Prachi in college and get her revenge. Prachi on the other goes for a job interview on her birthday where she and Shahana are applying for waitress jobs at a catering service in Delhi. They get the job and decide to pay their aunt with the money from it so she can no longer taunt them about money. When Rhea realizes Prachi is not there in college she decides to save her revenge for some other day and enjoy her birthday. Abhi and Pragya are both missing the other twin on the birthday. While Abhi makes donations to charities in the names of both his daughters, Pragya prays to God to send good wishes to her other daughter before wishing Prachi. Pragya is also sad about spending her first birthday away from Prachi and has to only wish her through a video call. Prachi hides the details about her aunt mistreating them or them getting a new job from Pragya. After speaking to her mother Prachi and Shahana leave for work, where their first catering job is for Rhea’s birthday party in Abhi’s house. There Prachi saves Daadi from slipping and falling. While talking to Prachi, Daadi realizes she misses having Pragya around. But how will Rhea react when she finds Prachi at her own house? Stay tuned to find out.